News of the refugee crisis has garnered world-wide attention as states and international bodies have become overwhelmed by the scope and depth of the humanitarian need. The International Human Rights Committee has assembled a program that will explore the critical developments in the crisis, with a focus on obligations embedded in customary international and human rights law. The speakers will also address legal assistance efforts underway in the United States as well as projects seeking pro bono lawyers. 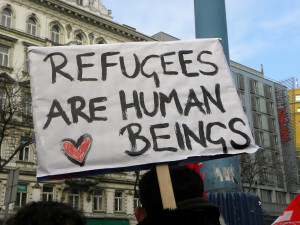 The event will conclude with a reception where program participants can connect with representatives from Human Rights First and International Refugee Assistance Project to obtain more information about engagement opportunities.